The Abstraction Haiku brings together seven abstract painters from the Tacoma and Seattle area whose works signify important dichotomies inherent to abstraction. The exhibition catapulted from two abstract paintings in TAM’s permanent collection seemingly on opposite ends of abstraction’s pictorial spectrum, specifically: John Franklin Koenig’s Lamento and Robert C. Jones’ Mermaid/Sphinx. The title centers on an idea of abstraction as haiku, which points to the intentional use of paired visual dichotomies as a way of focusing on a brief moment in time; a use of provocative, colorful images; an ability to be read in one breath; and a sense of sudden enlightenment and illumination. This describes well the experience of looking at abstract painting and directly relates to each artist in this exhibit. 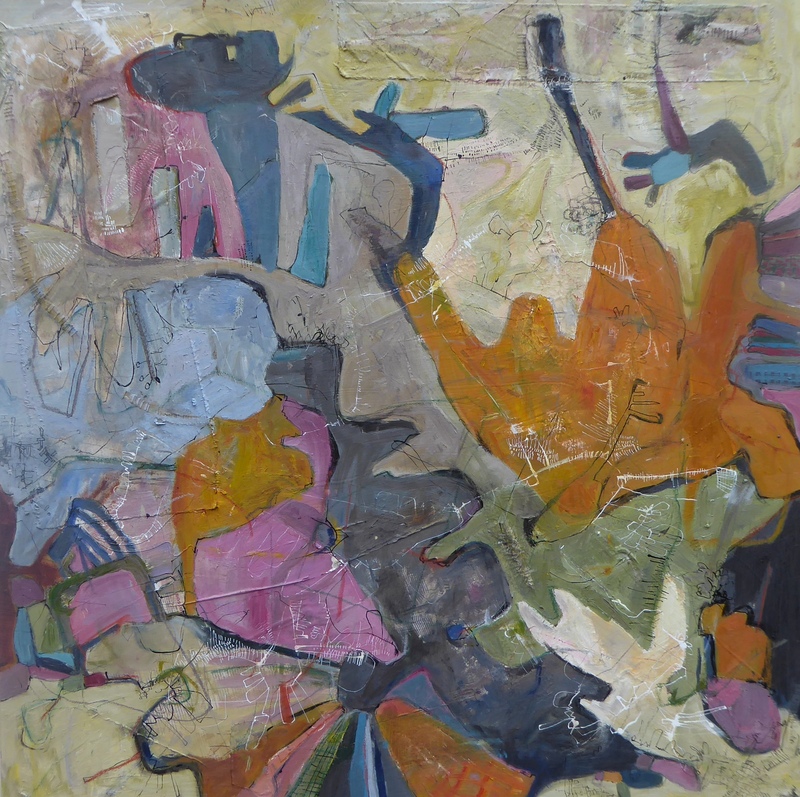 Other participating artists of the Northwest Abstractionists include: Deanne Belinoff, Dede Falcone, Teresa Getty, Angela Wales, and Audrey Tulimiero Welch. Shift Artist Anna Macrae is on the cover of the CoCA exhibition catalog for Motherland. Shift Artist Amanda C. Sweet will exhibit her painting Undercurrent No. 1 at James May Gallery’s annual exhibition. Water is the most crucial resource for life. James May Gallery is showing all mediums of work in an exhibition focusing on water. The work focuses on serious topics such as water conservation and protection, but it also celebrates the simple beauty of water. There is something about water that attracts and fascinates us. It is our hope that by celebrating the beauty and necessity of water in all our lives that we can better protect it. 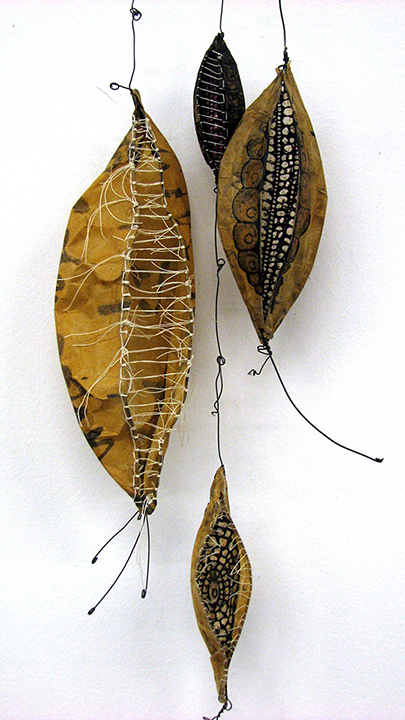 Leah Gerrard’s intricate wire sculptures are informed by an archeology of memories. In 1973, Federico Fellini condensed a Romanoglo phrase, A m’arcord, meaning “I remember,” into Amarcord to title his semi-autobiographic film. The headline has now become a neologism of Italian language, something akin to nostalgic recall. Leah Gerrard’s collection of sinuous wire and found object sculptures are loosely derived from memories of her past. Some forms, although highly abstracted, were created with specific places and times in mind –full moon walks and late-night wanderings– while others are more evasive, revealing their origins only after creation. In Sentiment, more than telling an actual story, Gerrard conveys feelings or moods for which we don’t have words. The organic shapes that populate the gallery create strong shadows and evoke a vague sense of familiarity, like shared secrets or collective dreams. Leah Gerrard uses steel wire and basketry techniques to create abstract sculpture, inspiring emotion and connection through form. She was born in Seattle and studied art at Linfield College and Cornish College of the Arts. In 2016, Gerrard received an Artist Trust Fellowship and was recently accepted into Shift Gallery and Northwest Designer Craftsmen. Weatherspoon Art Museum, Greensboro, NC. I was surprised at the determination with which Seattle-based artist Kara Mia Fenoglietto was unhinging the mannequin’s arm. She was trying to take off a beautiful coat made of silk organza that she’d constructed for her first solo show at Shift Gallery, Wallflower, to demonstrate what it looked like on a Real Human Body. I attempted to help her. I gingerly palmed the bald mannequin’s head in an effort to steady it as Fenoglietto wrenched off the appendage. She set the arm down on the floor and carefully slid the coat off the model, judiciously wrapping herself in it. Stuffed with dried flowers and cotton, the coat crinkled quietly. She looked like she was engulfed in the sweetest smelling cloud. Her show is a mixture of garments worn by mannequins, garments hung on the wall, garments smushed between two plates of clear plexiglass and propped up on display. I found myself drawn to “Upside Down,” which was composed of a green velvet dress between these plexiglass plates. This entrapment really lets you appreciate the texture of the velvet in a way that’s difficult to when it’s worn as a functional piece of clothing. As anyone who has worn pantyhose can attest to, the smushed quality of the velvet reminds me of the lines that those underthings leave on your belly and thighs, marking you, shaping you, putting you in your body in a very specific type of way. I always thought it served as a reminder of how far “out of bounds” your body goes, forever pinching what it doesn’t like about you. Perhaps that the point. Another stand-out piece from the show was her “Oversized Quilted Cape.” It’s hung flat on the wall for display, but there’s a hole in it meant for your arm to go through, a button to secure it all together. If you look closely you can see little bits of fabric, lace, and other trinkets amongst the dried flowers and stuffing. Fenoglietto drew from the practice of quilting, which was a traditional “women’s craft,” and interrupting it by using a slick fabric like silk organza. She tells me that the garment captures emotions and movements, entrapping chaos. This is her first year as a member of Shift Gallery and after a four-year hiatus from working on her art practice, Fenoglietto tells me that she wants to keep perfecting her work. Wallflower closes this Saturday—check it out before it goes away forever. Shift artist Dawn Endean is part of the invitational exhibit “You Are Here Too“, an exhibition of artists’ responses to maps and mapping, opening May 3, 2018, and continuing through August 30, at the Good Arts Building in Pioneer Square. The works will be spread between two galleries within the building: Good Arts Gallery, inside Cherry Street Coffee House at 700 First Avenue, and at ’57 Biscayne Artist Studios, directly above it at 110 Cherry Street on both the second and third floors. Congratulations to Shift artist Karen Klee-Atlin for receiving the “Contemporary Hues” exhibition’s Juror’s Choice Award for her print, “Boat Upside Down on Dock – Orange”. 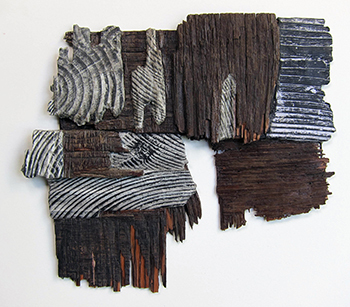 Klee-Atlin will be recognized and awarded her prize at the closing reception on January 7, 4:30-6PM. Cascadia Art Museum in Edmonds WA. Shift Artist Anna Macrae will be presenting all new work at SAM Gallery in January. This exhibition coincides with her show Making Marks at Shift Gallery. Opening reception for New Art, New Artists is Thursday, January 11, 6-7:30 pm. Shift artists Karen Klee-Atlin and Dawn P. Endean are included in the exhibition “Contemporary Hues,” part of the larger exhibition “Territorial Hues – The Color Print in Washington 1920-1960” at the Cascadia Art Museum, Edmonds Wa. Shift artists Eric Chamberlain, Dawn Endean, Stephanie Hargrave, and Jodi Waltier are included in this exhibition, opening at the Bellevue Arts Museum on November 10th. Making our Mark: Art by Pratt Teaching Artists is a commemorative exhibition celebrating the 40th anniversary of Pratt Fine Arts Center. The exhibition features work from over 250 Pratt teaching artists throughout the organization’s influential history. Anna Macrae is delighted to have been invited to join the SAM Gallery. Macrae will have her debut exhibition during the month of August to coincide with her participation in the Seattle Art Fair. This exhibition will showcase all new work referencing her interest in abstracted landscapes. Join the artist for drinks and appetizers and view this collection of new work as well as some favorites from past exhibitions. Join us for a tour of artists showcasing their work out of their local studios. Each host artist or stop on the tour has invited at least two guests artists to join and add their artwork to the display. Meet the artists, experience West Seattle, and enjoy the discovery of hidden gems! Pop in to the Shift Pop Up and shop for selected work from Shift Gallery artists. Paintings, Prints, Encaustics and more. Many smaller and unframed pieces available. Endean will also be displaying her work during the months of January and February in the Macrina Bakery Cafe, 1943 1st Ave. South in Seattle’s SODO neighborhood. This is the third exhibition of fine printmaking to be held at Northwind Arts Center and co-sponsored by Corvidae Press of Port Townsend. 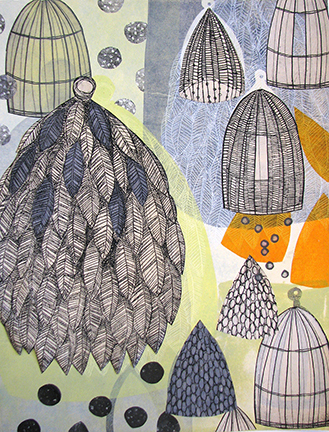 It is juried by Sam Davidson of Davidson Galleries, and showcases a wide range of styles and techniques being used by contemporary printmakers working in the northwest.There were 68 entries from printmakers in Washington, Oregon and California. Out of a total of 192 prints submitted, 54 were selected for the show, representing the work of 42 artists. 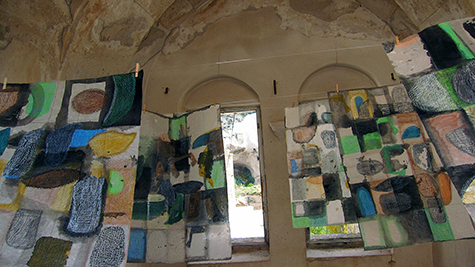 Carmi Weingrod and Liz Tran will share images and stories about their month-long residency at the Babayan Culture House art-residency in Cappadocia, Turkey. Sponsored by Seattle Print Arts. Refreshments served. Dawn Endean in the group show Paper + Pigment at the Bellevue College Gallery. March 4th – April 8th. Opening reception March 4th, 4-7 pm. Juried by Margaret Bullock, Curator of Collections and Special Exhibitions, Tacoma Art Museum. 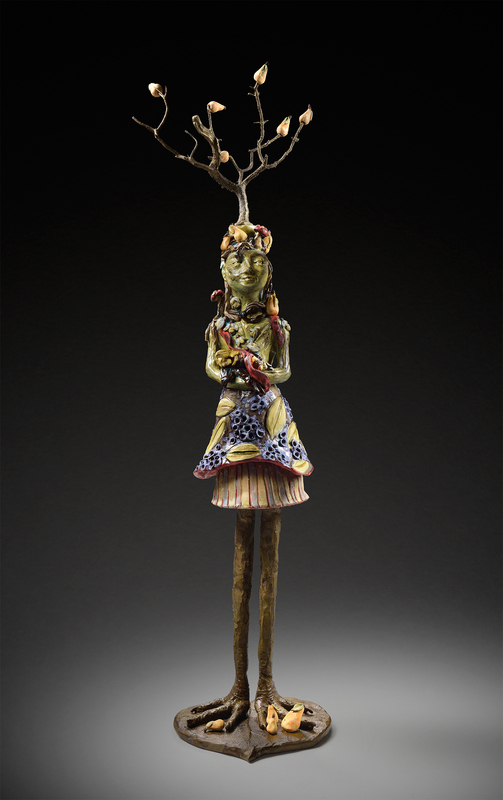 Shift Artist Crista Matteson is included in the The Schack Art Center’s 19th Juried Art Show, opening Thursday June 19th, 5-8:00 and runs through July 2nd. Matteson’s work is also featured in “Funny Bone: Humor in Art” at University House, Wallingford, 4400 Stone Way N. Seattle. The show runs June 19th – Oct. 10th with an opening reception on Thursday June 19th 5:30 – 7:30. The Janet Turner Print Museum, in collaboration with the California State University Art Gallery, presents the 10th Biennial Print Competition and Exhibition Mon., January 27 through Sat., February 22. This year’s juror was Anne Collins Goodyear, co-director for the Bowdoin Museum of Art, former associate curator of prints and drawings for the Smithsonian and president of the College Art Association.